Detangle, style, hold, tie up your hair...Some accessories are essential for helping you tame your hair on a daily basis. We take a look at these tools which are essentials you should definitely have in your bathroom. These are essential for creating tied-up hairstyles (plaits, ponytails or chignons) and for ensuring the style holds. The hook design ties are particularly popular amongst hairstyling professionals as they allow you to achieve a firm hold. You can also use classic hair ties. In this case, always choose the coated ones without a metal bar so you don't damage your hair. You can't do without them if you wish to create sophisticated hairstyles. They allow you to discreetly fix your hair as they can be concealed in an imperceptible way. Add as many as you need to your up-do to guarantee maximum hold. This brush is perfect for gently detangling your hair! In fact, hog's hairs are mainly made up of keratin: they boost your hair's shine, retaining its moisture and don't give your hair static. Also, it allows you to spread out sebum along the hair fibre. Opt for a brush with 100% natural hog's hair. 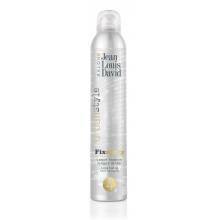 With this you can add more volume and density to your hair by backcombing it before styling. To achieve this, brush your roots the opposite way to their direction of growth. But not only that! It will help you carry out all the finishing touches, notably flattening out bumps or straightening out small amounts of frizz.